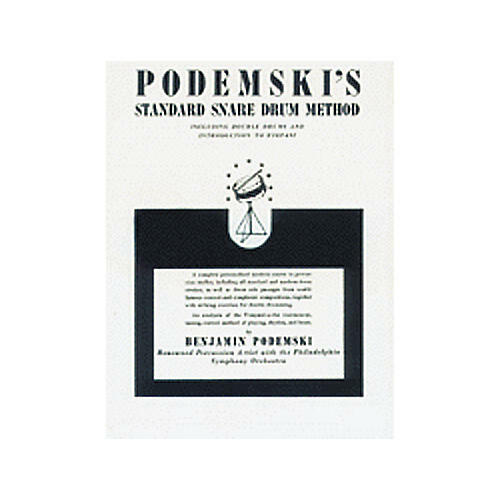 The book Podemski's Standard Snare Dum Method is one of the standard texts in its field. It offers drummers a modern course in percussion studies including all standard and modern drum strokes, drum solo passages from world-famous concert and symphonic compositions, and striking exercises for double drumming. The drum lessons also include an analysis of the timpani -- the instrument, tuning, correct method of playing, rhythm, and beats. Excellent reading material.